So, something so absolutely nuts happened on Thursday, June 11th, that many of us are still reeling in partial disbelief. News reports began circulating that Rachel Dolezal, the president of the local NAACP chapter in Spokane, WA and a professor of Africana Studies at Eastern Washington University, had been passing herself off as a Black woman for ten years. 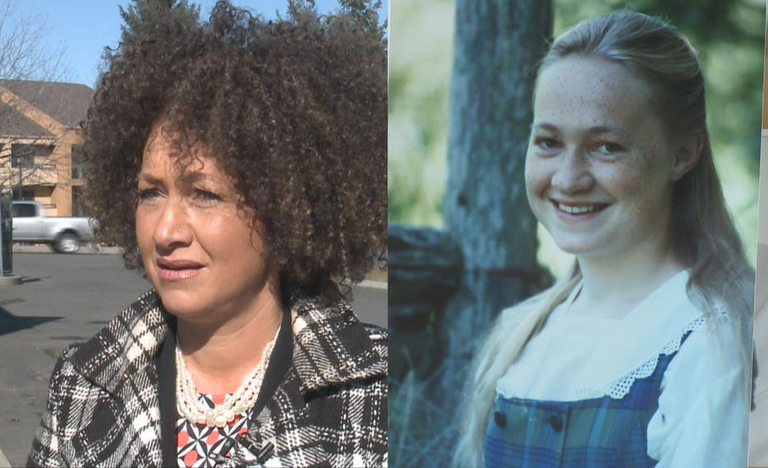 Rachel Dolezal is a white woman, with white parents, and European ancestry. However, she says she identifies as Black, despite her actual race. Um, ma'am, that's not how this works. Once the story picked up, Black Twitter did what it does exceptionally well: The dragging of a century had commenced. #RachelDolezal, Raven Symone, and Stacy Dash walk into a bar. Depending on who you ask, 3 black may or may not have just walked in. Sooo is lifetime already working on a #RachelDolezal movie starring Rita Ora or nah? My prob w/ #Transracial: Black folk cant decide to be white when the cops raid their pool party. But a white woman can be NAACP president. Some folk are defending #RachelDolezal, a white woman who pretended to be Black, but would never defend Black women. Privilege is real. #RachelDolezal is just a dot on the endless spectrum of White entitlement to Black culture, bodies, pain and expression. So yeah the thing about #AskRachel is I guarantee you she could answer every one of those cause she done studied up. THAT is the crazy part. Today and everyday, we salute Black Twitter.